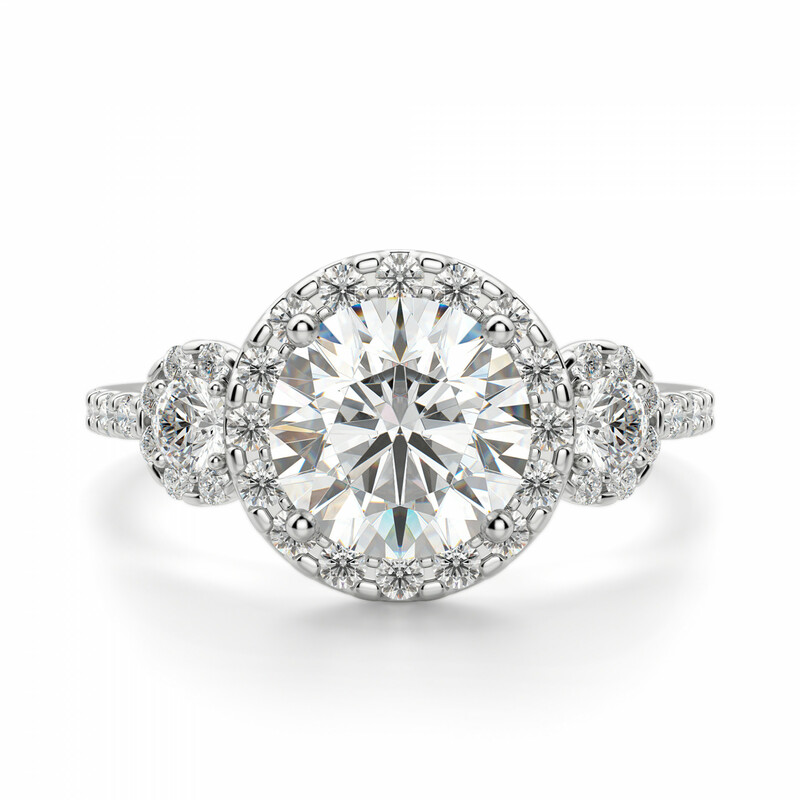 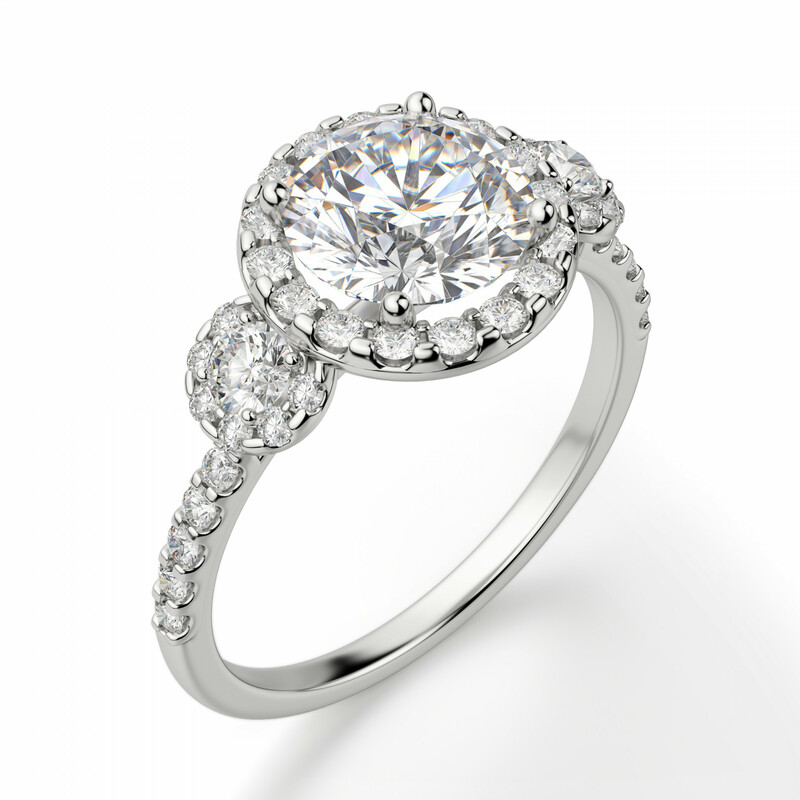 Three Stone Halo Round Cut Engagement Ring was added to your cart. 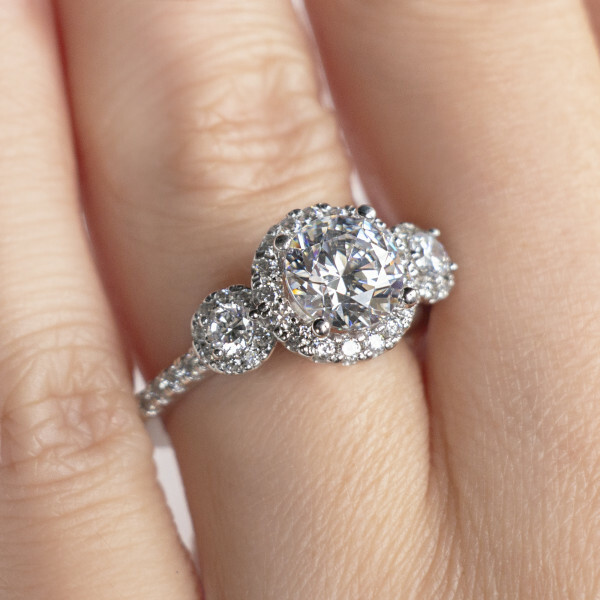 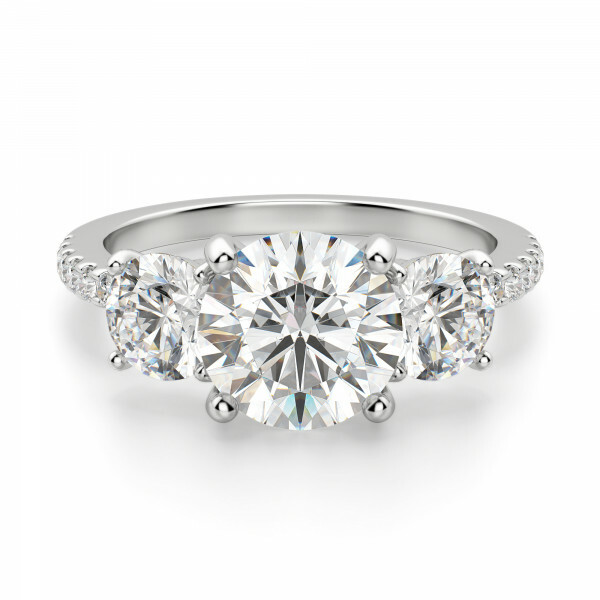 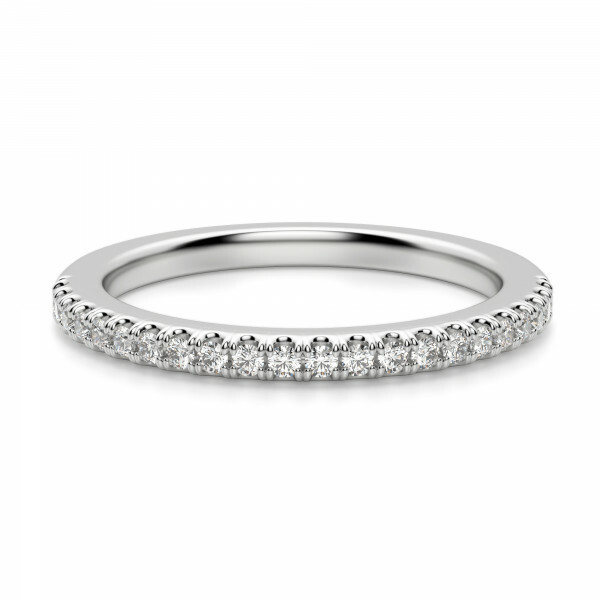 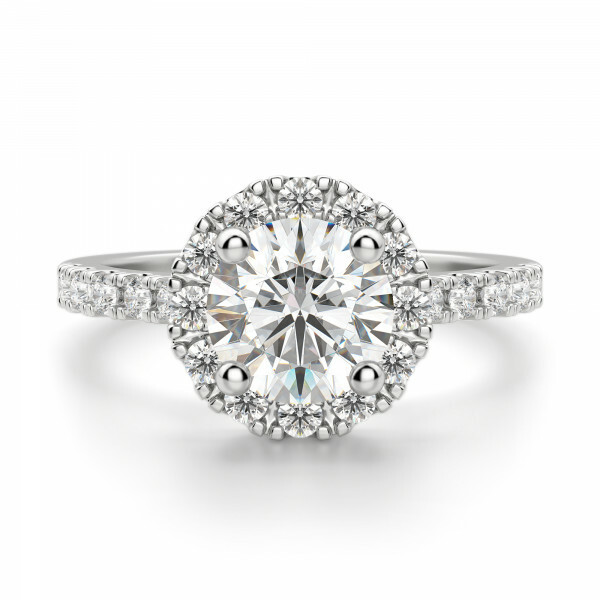 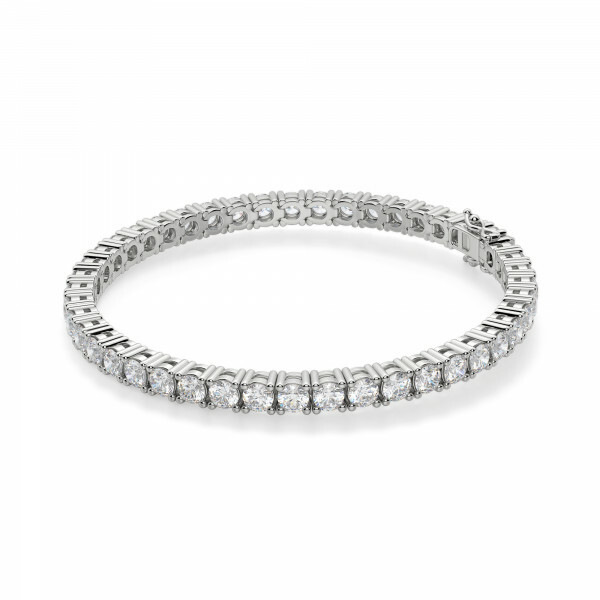 This ring combines two popular designs - the halo and the three stone. The effect? 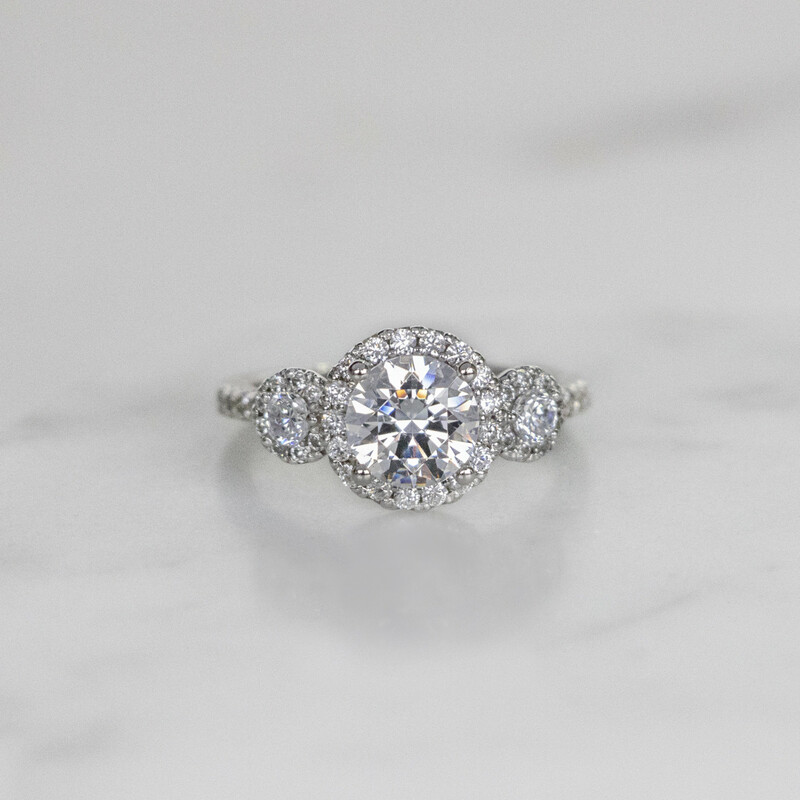 Lush and ultra-glamorous. 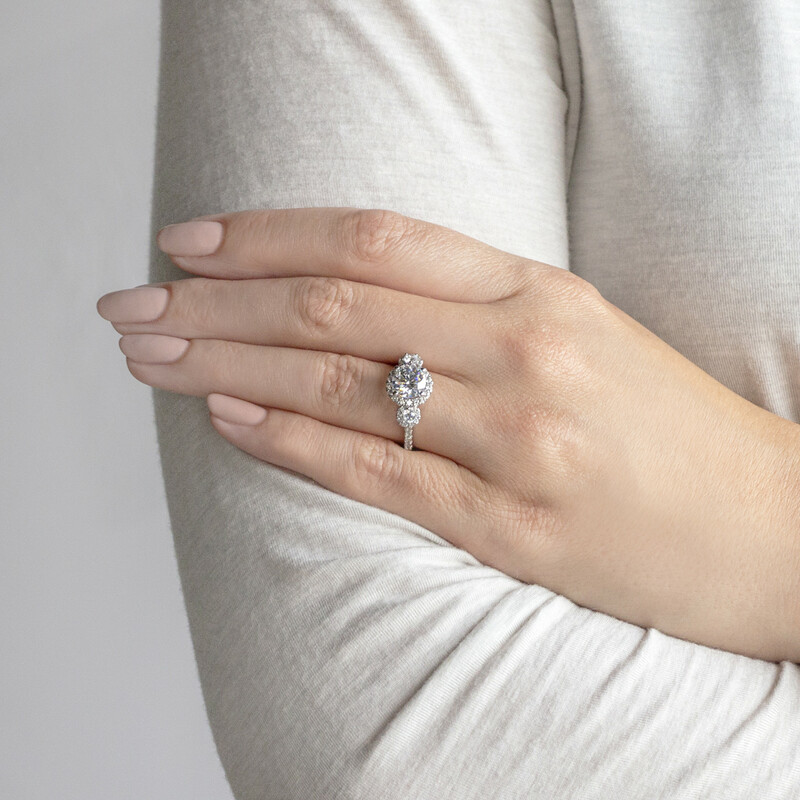 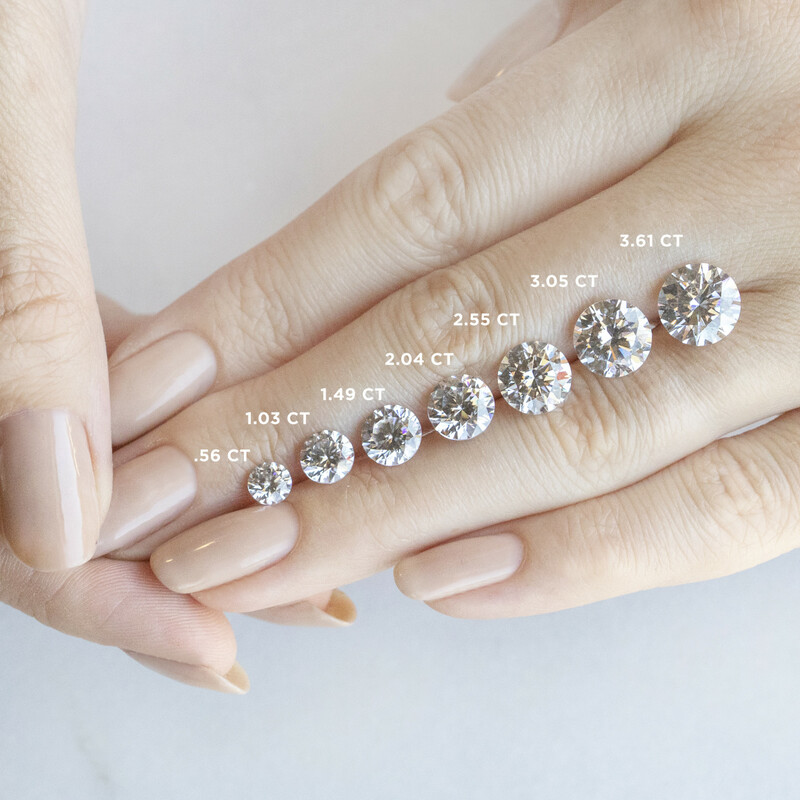 Three Nexus Diamond alternatives are encircled in halos, representing an undeniably beautiful past, present and future. 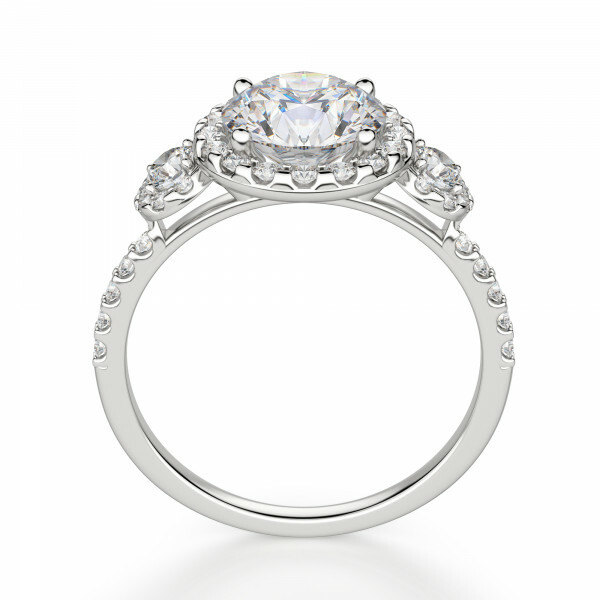 The setting is high and quite open on the sides, allowing light to enter from all sides. 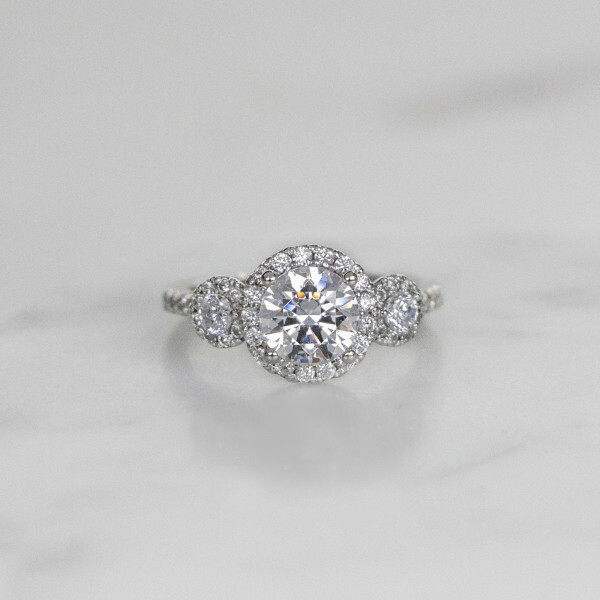 The sparkle is breathtaking.